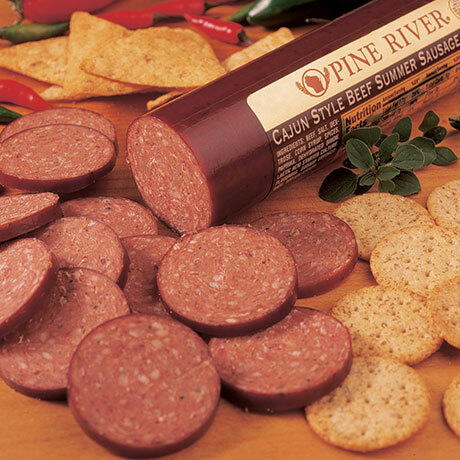 Crushed black peppercorns and hot peppers add zing to a classic Wisconsin sausage. Wrapped in an attractive mahogany brown casing. Makes convenient cracker-size slices. 11-ounce beef stick. BEEF, SALT, CONTAINS LESS THAN 2% OF FLAVORING, DEXTROSE, CORN SYRUP, PAPRIKA, LACTIC ACID STARTED CULTURE, SODIUM ERYTHORBATE, SODIUM NITRATE.